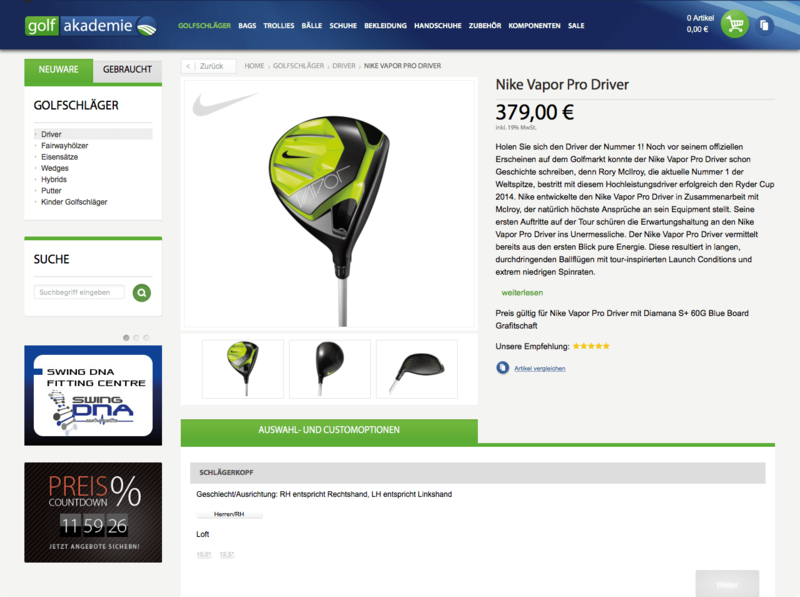 Having worked as an offline chain of stores for decades, our Germany-based client was trying to expand its customer base and satisfy needs of digital natives buying golf equipment online. The first launch wasn’t successful due to multiple page loading issues. Aitoc helped to adjust cache optimization process for configurable products, which resulted in a speed boost and better customer experience in general. Business owners of a successful chain of golf equipment stores were trying to grow their customer base by launching a web store. Their development initiatives were inconsistent which undoubtedly had a negative impact on the operations of the online store. Page loading was too slow and traditional cache techniques didn’t help. The Aitoc's specialists accepted the challenge. The code analysis was the first thing we did. It was necessary because our client had changed several developers previously and we suspected that some problems might have occurred due to the inconsistency of their work. It turned out, we were right. Having conducted a thorough research, we found code snippets that were partially responsible for slow loading. Those unfinished blocks didn’t perform any operations and were practically useless, so we cleaned the code, getting rid of them completely. While we were capable of solving the majority of cache-related issues with the help of our extension - Full Page Cache Booster, there were specific problems that required the development of a standalone solution. We developed an extension tailored to deal with dynamic and semi-dynamic block caching of this online store. A new extension was called BlockCaching v1.1.0, and it helped us reach an impressive 3-3.5x speed boost for the Cart and Checkout pages and fantastic 750x speed growth for the Category pages. However, we needed to address one more challenge to ensure the highest load speed. Golf equipment items are extremely differentiated. A golf stick is customized for every person depending on his/her height, the lead hand, playing habits, the desired shape of the handle and a lot of other parameters. And those are only golf stick parameters. Imagine the number of attributes of all the golf items. To tell the truth, there were thousands of them. It inevitably became a reason for severe underperformance. Loading became slow on the product pages of configurable products as well as the cart page when a configurable product was added there. Also, the Magento request process was messed up and the same request was sent multiple times. This is quite a common problem in Magento when products have a lot of options. As these issues are impossible to address with a ready-to-go extension, we adjusted to the situation and applied a combination of techniques that seemed most relevant and effective for this particular case. Usage of a combination of techniques, described above, led to unbelievable results. We managed to achieve 600-700x speed boost on product pages, which considerably improved user experience and ensured stable conversion results.